Winners were selected using NMP magazine’s proprietary Mortgage Company Employer Score (MECS), which weighs and scores various areas in a company to arrive at the list each year. A polling of NMP subscribers is used with the following criteria: corporate culture; compensation; day-to-day management; internal communications; marketing; training; resources; long-term strategy; ingenuity; speed; technology; and industry participation. 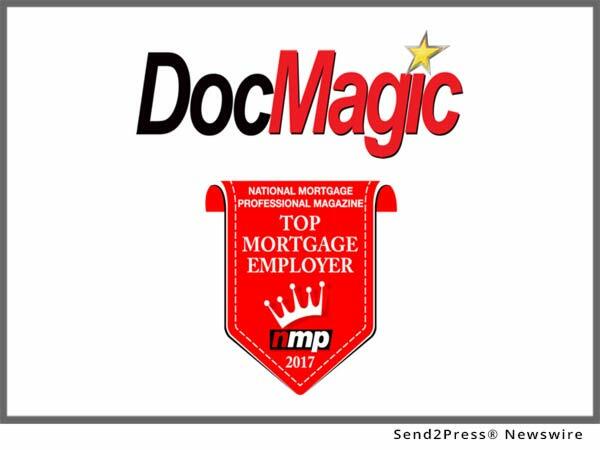 "Employees are the heart and soul of DocMagic-it's their ingenuity, dedication, and constant commitment to raising the bar that continues to make us one of the mortgage industry's longstanding category leaders," stated Dominic Iannitti, president and CEO of DocMagic, Inc.